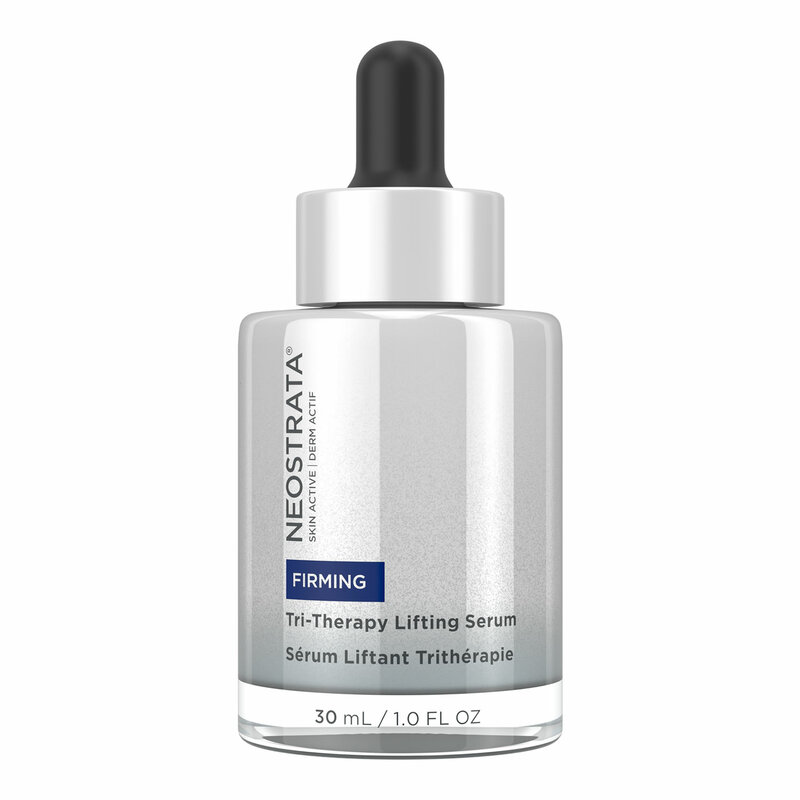 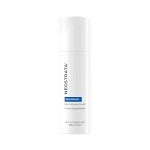 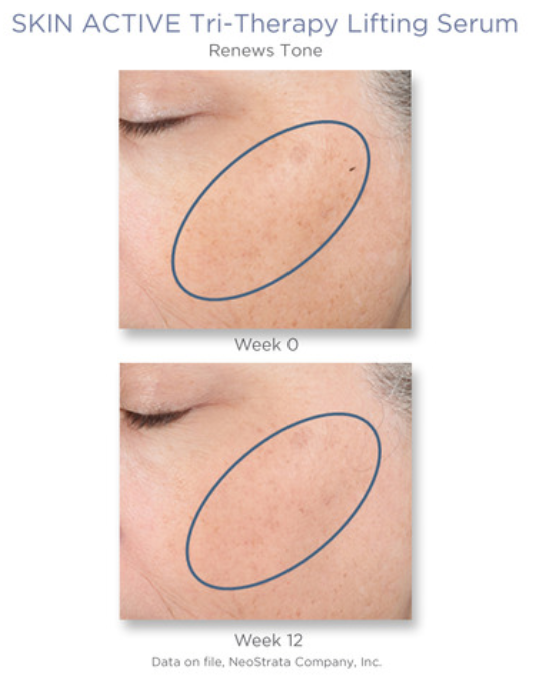 NeoStrata Tri-Therapy Lifting Serum is suitable for all skin types. 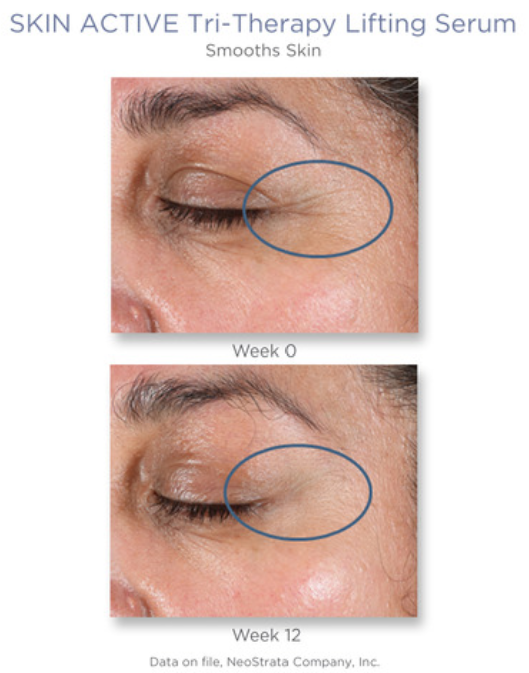 Apply 3-5 drops to the face after cleansing in the morning and evening. 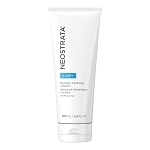 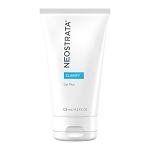 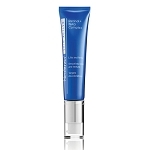 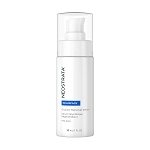 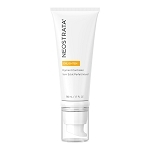 Follow with a NeoStrata moisturizer. 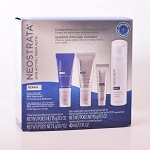 Recommended for use in combination with a SKIN ACTIVE regimen. 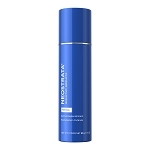 Aqua/Water/Eau, PEG-8, Gluconolactone, 1,2-Hexanediol, Cyclopentasiloxane, Glycerin, Pentylene Glycol, PEG-12 Dimethicone, Polymethylsilsesquioxane, Acetyl Tyrosinamide, Cyclohexasiloxane, Sodium Hyaluronate, Dimethiconol, Biosaccharide Gum-1, Polyacrylate-13, Polyisobutene, Isopropyl Myristate, Polysorbate 20, Sodium Sulfite, BHT, Ammonium Hydroxide, Caprylyl Glycol, Xanthan Gum, Methyldihydrojasmonate, 2,6-Dimethyl-7-Octen-2-ol, Ethyl Acetoacetate, Methyl Benzodioxepinone, Phenoxyethanol, Chlorphenesin, CI 17200 (Red 33), CI 42090 (Blue 1).